I grew up religious. I fulfilled my obligations and went to Sunday school and church every week. I believed I was a good person who treated others kindly. I did what I was supposed to do, and life pretty much went well for me. I got good grades in school, and in my high-school years, I was the captain of the varsity basketball team for three years. I hung out with a crowd that had fun and partied hard. During my senior year, I had a girlfriend, and right before graduation we found out she was pregnant. Regardless of what my religion said, there was no doubt in my mind what we should do about it. We were both going off to college, and I was convinced that having a baby wouldn’t be convenient for either of us, so we ended that pregnancy with an abortion. The abortion brought an initial sense of relief, but it also brought a weight that I carried. It was about a year later, when my girlfriend and I were in church at a reconciliation prayer service, that I felt real despair. I pleaded with God to forgive me, and in that moment I felt a feeling I’d never felt before—I can only describe it as supernatural—and the burden I had carried was lifted from me. Looking back, I believe that feeling was the Holy Spirit releasing me from the guilt that had been weighing me down. But even after that experience, my college life was much the same as my life in high school. I joined a fraternity of fun-loving guys who knew how to party. Yes, I was still religious and went to church (usually on Saturday evening before I went out to the bars), but I kept God in a little compartment in my life. I thought about Him when it was convenient for me. Life was pretty much all about me. After I graduated from college, work took the place of school, but my life continued along pretty much the same path. I probably partied less because I had more responsibility, but my life really hadn’t changed. It was in my post-college years that I started dating Judi, and eventually we got married. We attended church together, but she yearned for more spiritual depth in our lives. I agreed to try something new, and around that time, we accepted invitations from Christians I knew from work to visit several churches. One of those churches was Wheaton Bible Church (then on Main Street in downtown Wheaton), and when we visited, it felt like a good fit for a lot of reasons. But what really struck me was the focus on the Bible. I’d never experienced that before. In fact, I had never really opened a Bible, even though I had attended church my whole life. One of the first Sundays we attended services at WBC, I heard Pastor Rob give a sermon on 1 Samuel, and that morning the Bible really came alive to me. I had always thought of David as a boy who slung a rock at Goliath. Then I heard the riveting story of Saul chasing David and trying to kill him. It was better than watching Jack Bauer on 24! That day it struck me that there was so much more to the Bible and I knew none of it. God was growing a desire within me to learn more about what was in His Word. Over time, the feeling of going to church out of obligation faded as worshiping and learning with other Christians became something I needed each week. I also began attending the Thursday-morning men’s Huddle Bible study. The more I heard and learned, the more I realized that I had lived a pretty selfish life. I hadn’t done that intentionally, but I made choices based on what was more fun for me. I was number one. 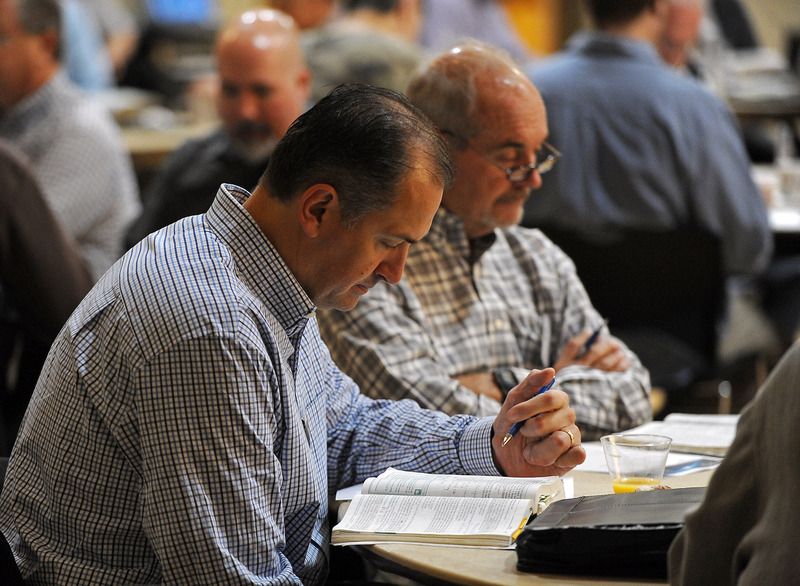 On January 27, 2008—at a men’s retreat—I prayed to accept Christ as my Lord and Savior. As a longtime basketball player, the picture that came to my mind was that I was no longer the “point guard” of my life. I was just a player with roles God had given me to fill. “Husbands, love your wives just as Christ loved the church” (Ephesians 5:25). I’m not all there yet. I am not a finished product. I am broken. I am not always slow to anger. I am not always loving to my wife. Sometimes I exasperate my children. I am a work in progress. But God has changed my heart in many ways. I have learned to enjoy giving. I understand now that tithing is a way to worship God—to give back from what He has provided. I enjoy serving in different capacities. I never thought I would say this, but I enjoy singing during worship services. What better way to glorify God! So why am I sharing my story? Because faith has become much more of a heart thing and less of a head thing. Because Christ’s sacrifice has redeemed me from my sins that were, until a few years ago, unspeakable to me. Because Jesus Christ, through His mercy and grace, has lifted from me the shame that caused me to despair and has made me new. 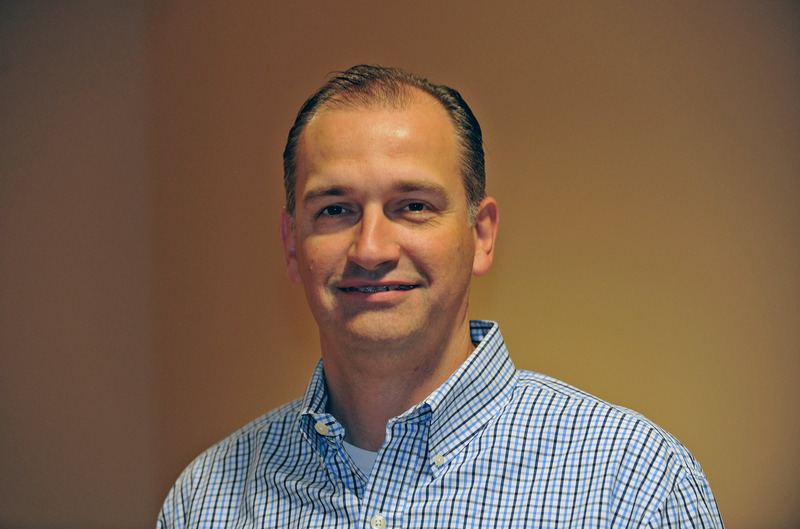 Brian, a certified financial planner is a table leader at Huddle and an Awana leader for third- and fourth-grade boys. Brian and his wife, Judi, are active in the Ambassadors Adult Community and are the parents of Jack, Katie, Max, and Spencer. This entry was posted on December 4, 2014 by Wheaton Bible Church in Winter 2014/2015.